Alia Bhatt and Ranveer Singh are the upcoming on-screen couple, ready to win the hearts of the audience. 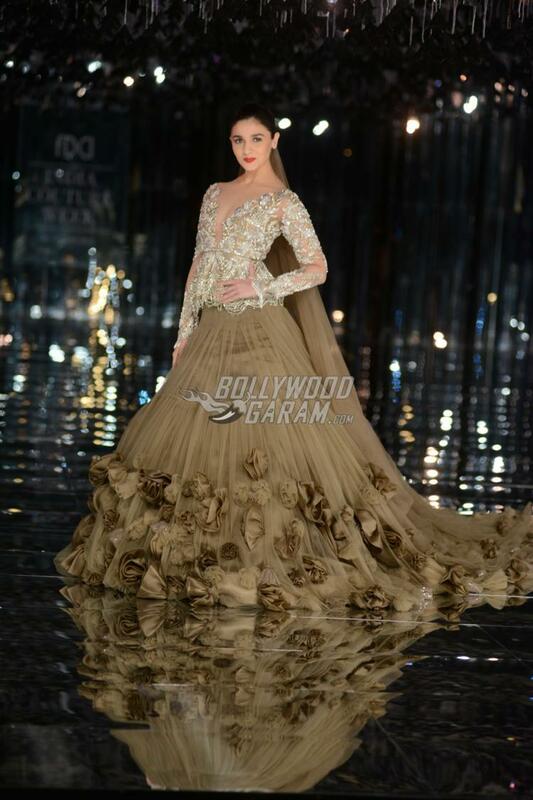 The celebrities, who are ready to be seen in the upcoming film Gully Boy, walked the ramp for designer Manish Malhotra in Delhi at the India Couture Week 2017 in Delhi on July 30, 2017. 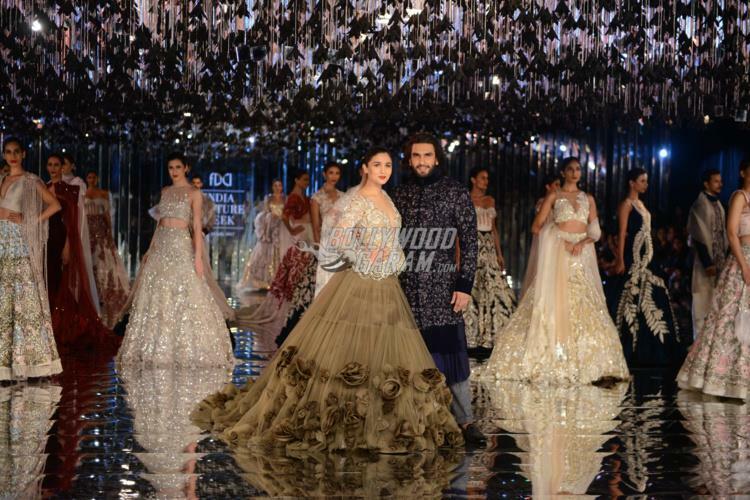 Alia was a stunner on the ramp as she wore a floor sweeping gown with a brown tiered skirt, while upcoming co-star Ranveer looked dapper in a blue embroidered sherwani with straight fit pants. 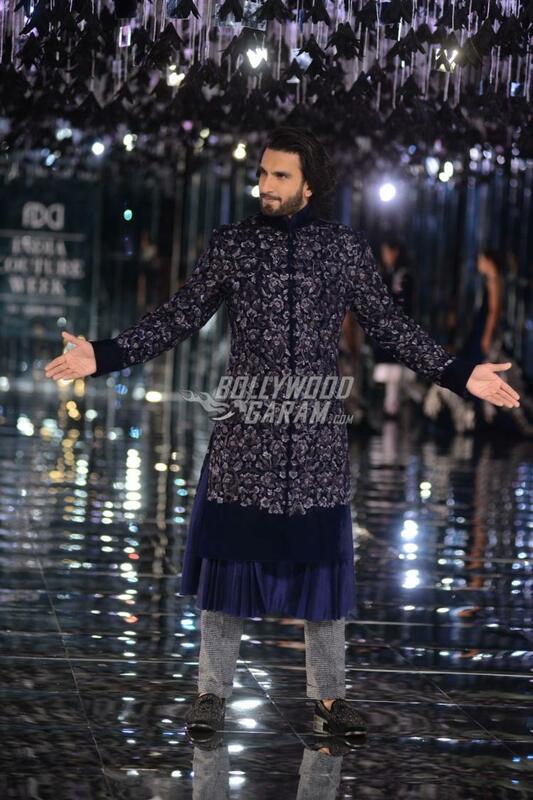 Ranveer and Alia will soon be seen in the upcoming Zoya AKhtar’s film Gully Boy. 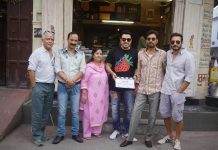 The Ram Leela actor will be seen playing the role of a street rapper. Singh has so far done a lot of research for his role in the upcoming film which will be produced by Farhan Akhtar and Ritesh Sidhwani. 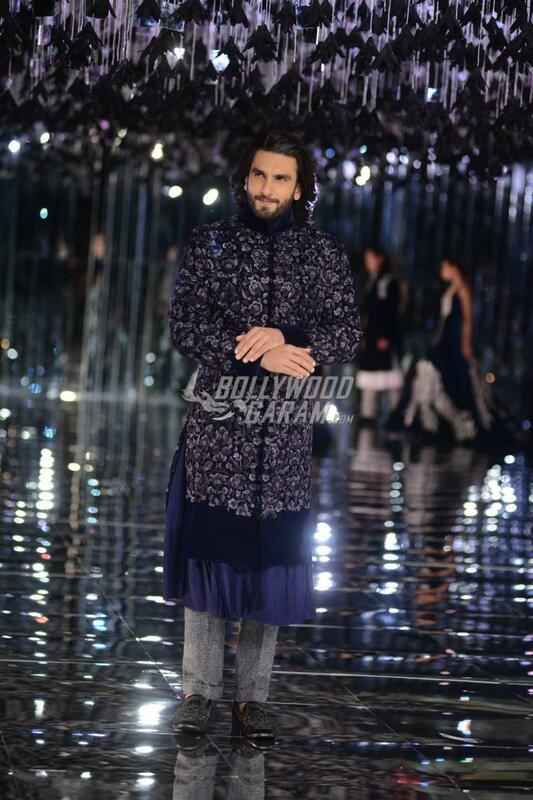 Ranveer is currently shooting for the upcoming film Padmavati which also stars Deepika Padukone and Shahid Kapoor. 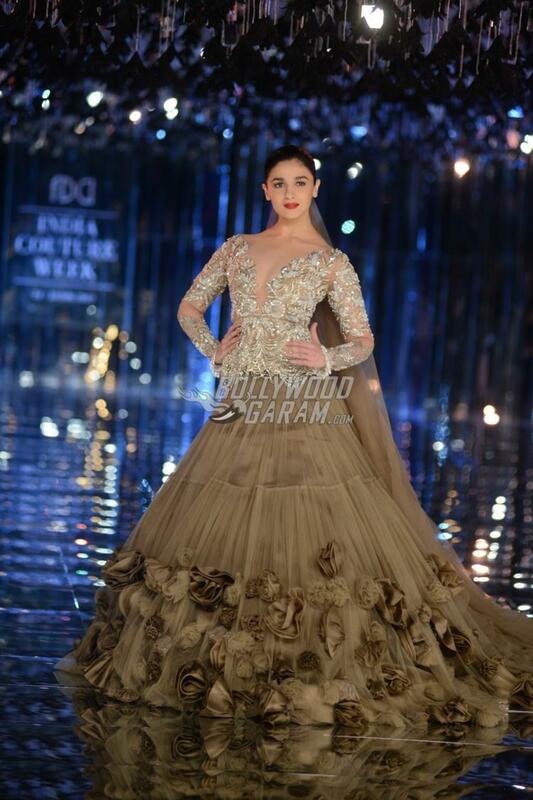 The excited stars had shared a few messages on Twitter as they announced their upcoming film and Ranveer wrote, “Everybody loves @aliaabhatt ! 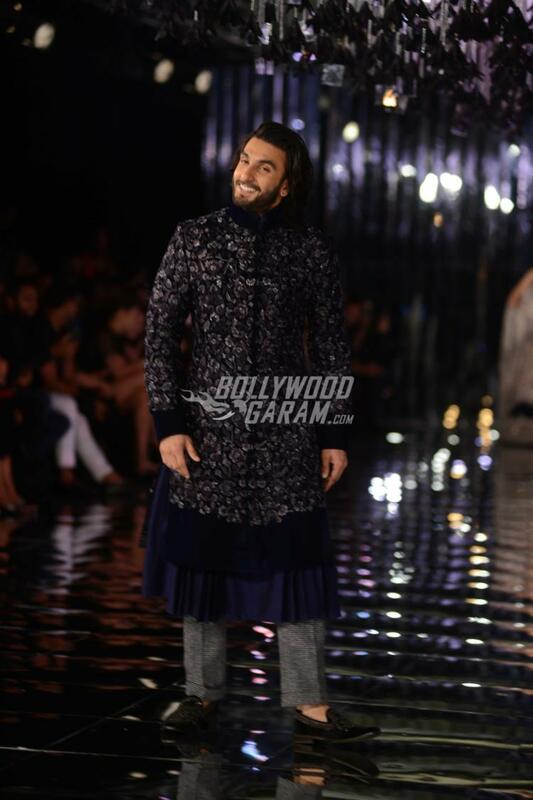 Looking faarward”, while Alia responded, “Hahahah everybody totally loves @RanveerOfficial!!!! 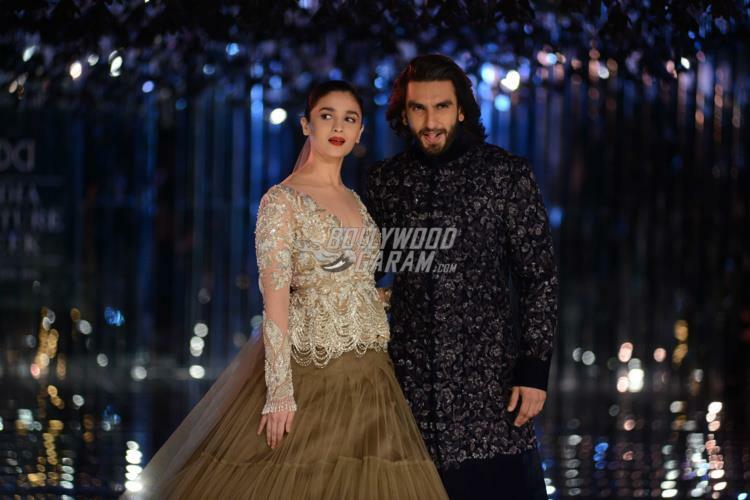 Looking double faarward GULLY BOY.” The pictures from the fashion event have proved that the two will indeed make a great on-screen pair. 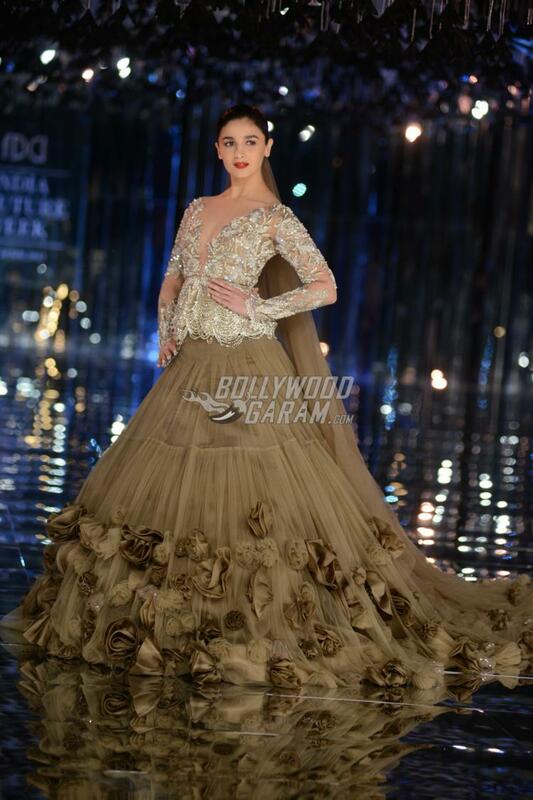 Alia was last seen in the film Badrinath Ki Dulhania opposite Varun Dhawan. Varun Dhawan and Alia Bhatt’s pairing had worked wonders with the audience but it now time for Alia and Ranveer to paint the town red with their chemistry.